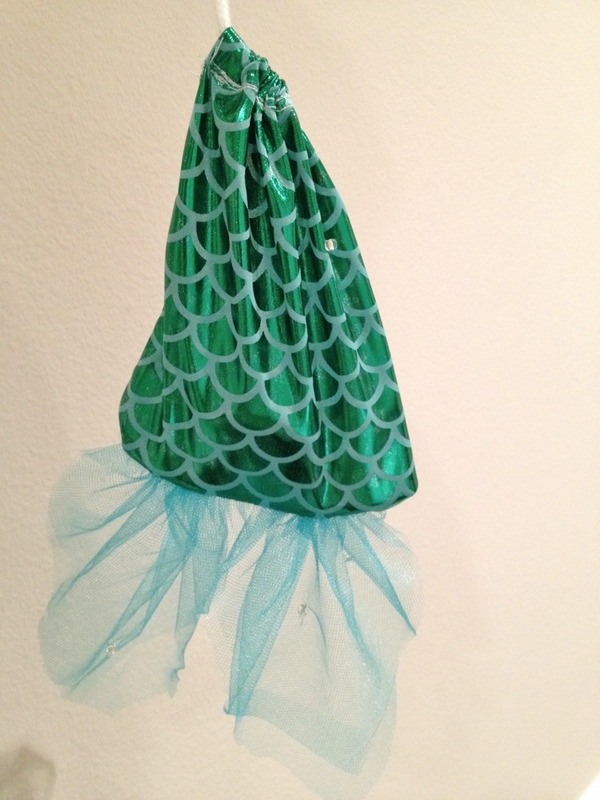 I saw this fish scale fabric at JoAnn's last Halloween and couldn't resist. 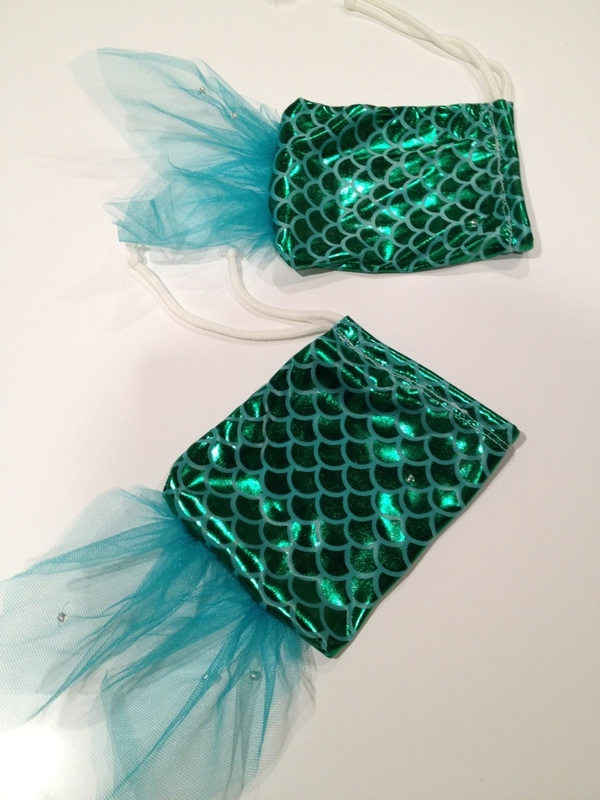 I never got around to making a Little Mermaid costume (sorry, Hubby), but I had the brilliant idea to make little drawstring bags that look like mermaid tails. I added little glass beads scattered on it (hard to see in the pictures) - they look like bubbles! Want to buy one? View the listing on Etsy. Really this drawstring bags looks very wonderful.